Running a blog is free. Looking up stuff on the internet is free. Sharing it with you is free. We at Hoaxtead Research will never ask you for donations. However, many in the alternative media, truth movement and Hoaxtead “community” don’t see it that way. Leading Hoaxteaders Belinda McKenzie, Christine Sands, Danielle la Verite, Chris Spivey, Bronwyn Llewellyn, Alan Wrightson, Jacqui Farmer, Abrascam Christie and Ella Draper are all rather partial to passing round the begging bowls. Think about that the next time you ask yourself why they’re so passionate about promoting their false flags, alien conspiracies and fictitious satanic panic hoaxes. It’s worked in America, so why can’t it work here? Right? 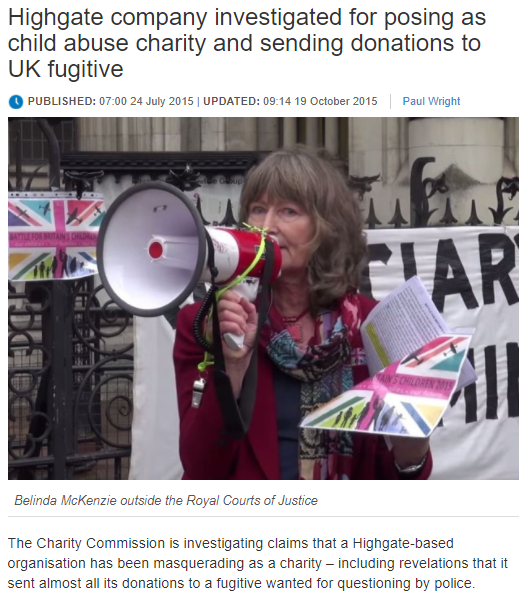 Oh and lest we forget that lead Hoaxteader Belinda McKenzie has been struck off by the charity commission for both raising funds for a known terrorist organisation and for embezzling millions of pounds’ worth of funds. Nuff said?